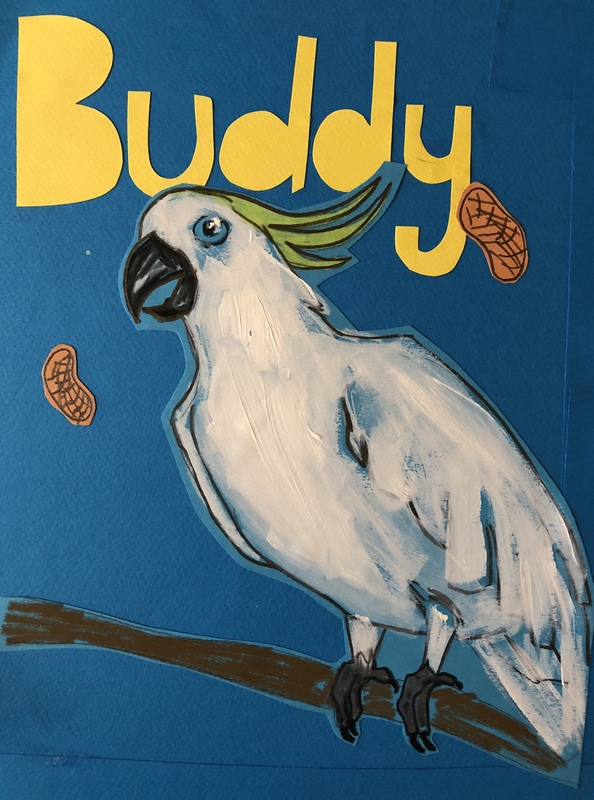 I used to take care of a lonely cockatoo named Buddy. His home was a greenhouse in the backyard of his owner’s house that was rarely there. I was supposed to clean his glass house and feed him when Tony, the owner, was out of town. At first I was terrified of the big bird with the big beak. I inched around the sides of his house, trying to stay as far away from his pecking reach as I could as he bobbed up and down at me, squawking. But then one day he picked up a peanut and started pacing back and forth, trying to get my attention. The second I looked at him he threw the peanut behind his head, over his shoulder and then whipped his head around and caught it in his mouth as it bounced off his wing! He bobbed up and down ecstatically, so proud of his trick. “Was that a trick Buddy?” I asked gleefully. He bobbed up and down more frantically. “Wow!” I told him, “Good job Buddy!” He squawked proudly. I picked out all the peanuts I could find in his sack of food and lined them up for him to practice with. He nodded approvingly and got to work showing me all his tricks. We became friends and I looked forward to seeing Buddy each week after that. A couple of years later Tony was moving and his wife didn’t want to bring Buddy to the new house. He was bereft, he loved Buddy. I was worried for Buddy but a few weeks into his search for his home Tony came to me and said he’d found a nice lady that loved birds and Buddy was going to live out the rest of his years with her. I was happy for Buddy. He’d finally have someone to watch and clap at all his tricks.